Dollhouse Decorating! 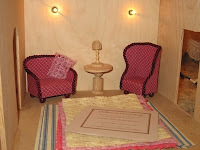 : Make your own handmade no-sew dollhouse chair or sofa! If you've ever admired real dollhouse front room furniture, but know it is out of your price range and looks way to complicated for you to ever even think of sewing it... then this post is for you! It is a super easy, homemade no-sew way of making your own realistic looking dollhouse family room / front room / parlor furniture. 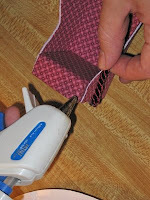 Follow the manufacturer's directions to fuse the fabric to both sides of your fabric stabilizer. 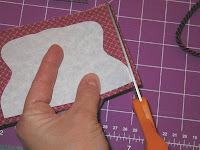 Now, cut a piece of fabric just big enough to fully cover the wood block. 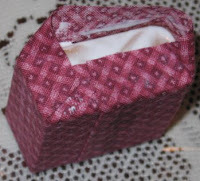 Smear the block with a thin layer of glue and "wrap" it just like you would a package! 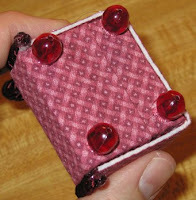 For additonal ideas and notes and more pictures of doll house couches and arm chairs, visit this post. 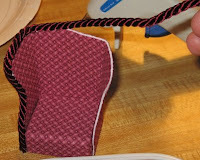 Better yet, to view all the posts together, use the "no-sew doll house couch / sofa" label on the top left. 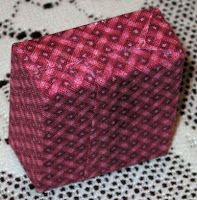 We also occasionally sell cheap already made furniture... for more information and what's currently available, visit this furniture page of our dollhouse decorating website! Very educational and inspirational. Thank you so much. I couldn't afford to buy furniture and truely appreciate your site teaching me how to make the furniture. You're welcome! That's the reason we came up with the ideas :) Glad they were useful to you. Your tutorials are terrific! Thank you so much for sharing. Wow, this is awesome. Great tutorial! 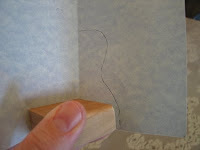 My daughter and I love makeing new stuff for our homemade dollhouse. I'm a new follower. Thanks so much! even a single seat was fine toy. :) Thank you for your beautiful work. 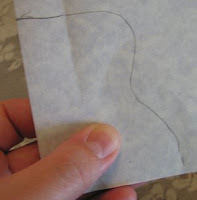 Use any kind of glue that you have, it doesn't have to be hot glue, hot glue just dries faster. 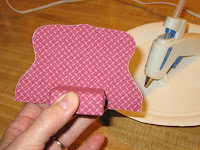 Instead of a wooden block you can glue together pieces of craft foam. 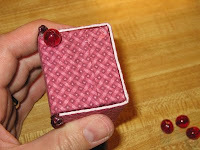 Use rubber bands to hold the back on to the craft foam block until it dries.